The announcement came late this afternoon that after 21 years (20 of which the Islanders actually played), Howie Rose was leaving his position as the television play-by-play voice of the Isles. I first met Howie in the Coliseum press box when I was just 18 years old, although I had heard his voice for years via SportsPhone (Kids, ask your parents). 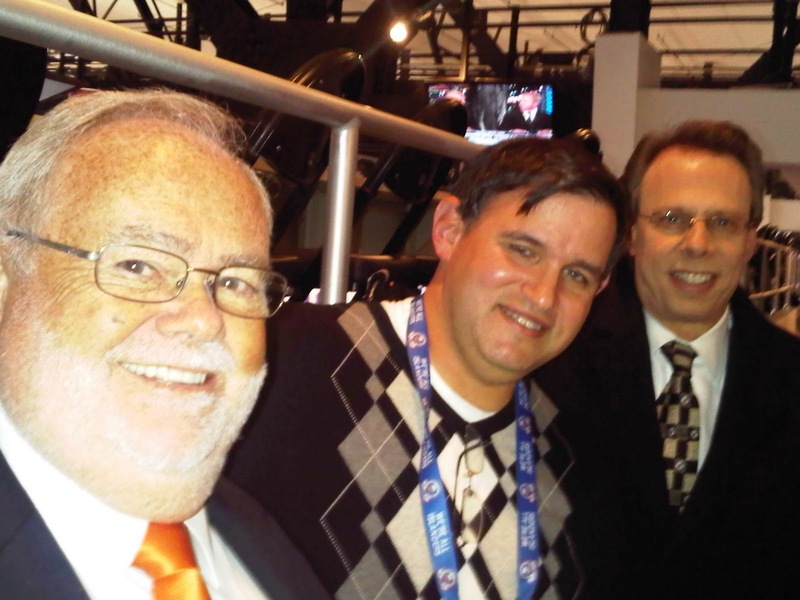 We first worked together on an Islander – Ranger preseason game for SportsChannel on October 2, 1995. Ed Westfall was his partner for the first three seasons; Joe Micheletti, Billy Jaffe, and Butch Goring would follow. Each of his partners benefited from Howie’s ability to set up their analysis; viewers might not always notice it, but I certainly did. Howie was 18 when the Isles played their first game and in part because of that, and the Islanders’ willingness to credential him at a young age, he has a great memory of some of the early days in Islander history (I was only 8, so many of my “memories” of the first two seasons come from research). I always felt that Howie was under-appreciated by a certain segment of the team’s fan base. Part of it had to do with his previous experience with the Rangers, part of it was because he replaced Jiggs McDonald, but perhaps the bigger part had nothing to do with Howie at all – he broadcast a team that for many of those years just wasn’t very good. The Islanders played over 1,650 regular season and post-season games in the years that Howie called their games; he called three remarkable Islander overtime wins in his last eight days on the job. They were the only Islander playoff overtime goals he ever called (Doc Emrick called John Tavares’ OT winner last season). When Tavares’ goal in game six ended the Islanders 23-year playoff series drought, other than my kids, I was happiest for Howie finally getting the chance to call it. Among the things I’ll remember most were some of his great on-the-fly commentaries, from “housebound agraphobe” to “Nassau County aspiring to be minor league”. They were direct, and right on point. 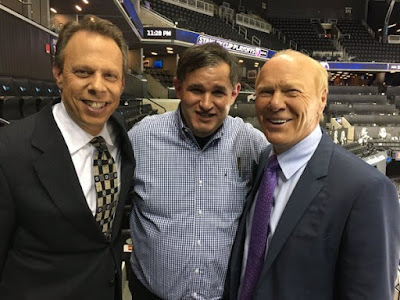 Over the past 34 years, I’ve often said I’ve had the best seat in the house – for the last 21 years that seat was directly to the left of Howie Rose, who has called the play-by-play of more Islander games than anyone else. Whoever takes his seat in October will have big shoes to fill. Getting to the Hall of Fame in one sport is nearly impossible, the odds of getting there in two sports are nearly incalculable (even by an actuary). Here’s hoping to Howie one day being honored with both a Foster Hewitt Memorial Award and a Ford C. Frick Award. Best wishes to Howie and Barbara, and to Alyssa and Chelsea. That’s one great run that we can now Put (It) In The Books!